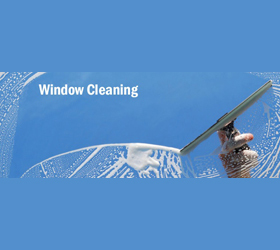 Window Cleaning is a unique business opportunity offering a tested and proven franchising program backed by many years of experience. They are a customer service business that specializes in commercial (up to 3 stories) and residential window cleaning. This franchise is committed to franchisee success and we stand behind our business model by offering guaranteed training, marketing and ongoing support. They even jump-start the franchisees' business with our Grand Opening option by traveling to their territory, and with the franchisee, securing commercial accounts, assisting in business organization and conducting hiring interviews so the franchisee will be conducting business in their first weeks of operation. This is an award-winning franchise system. Franchisees do not clean windows, they have employees who clean; their job is to manage the business. This is an executive franchise model. The price listed is the total startup cost including franchise fees, equipment, office and working capital. No students or brokers please. The information contained in this ad does not constitute an offer to sell or award a franchise. You must be a United States or Canadian Citizen with a minimum net worth of at least $100,000. Can work from your home office or a light industrial location. Exclusive territories awarded. This is the dominant window cleaning franchise in North America. They have a professional approach (a clean and professional look, proprietary scheduling and routing software, solid training and franchise support) allowing the franchisees to give exceptional customer service on time, every time. This approach, combined with a straightforward and proactive sales process, gobbles up market share. Franchisees enjoy 90% customer retention. The franchise sets you up with corporate accounts in your territoy. There is lots of opportunity for growth in your exclusive territory or by adding additional territory. Extensive Training and Support provided. Five weeks pre-HQ training. One week at HQ. Two weeks post-HQ training Plus 2 days of On-site training; reviewing office procedures, setting up appointments, and getting corporate accounts in the franchisee's market. This is a new franchise looking for a quality franchisee in your area. It is not an existing business for resale. Contact ABC to check for current pricing and availability. Affordable Business Concepts, LLC does not make any guarantees or declarations regarding earnings. The information contained in this ad does not constitute an offer to sell or award a franchise and may not reflect the most current facts. Such an offer can only be made in compliance with applicable disclosure laws. Offerings are made by Franchise Disclosure Document only.